Sails off masts in preparation for mast pull. and put them back on, for a change! “When we pull our mast, I’ll make that [annoying clank-clank-clank slapping sound of wire inside our main mast] go away,” Wayne promised. 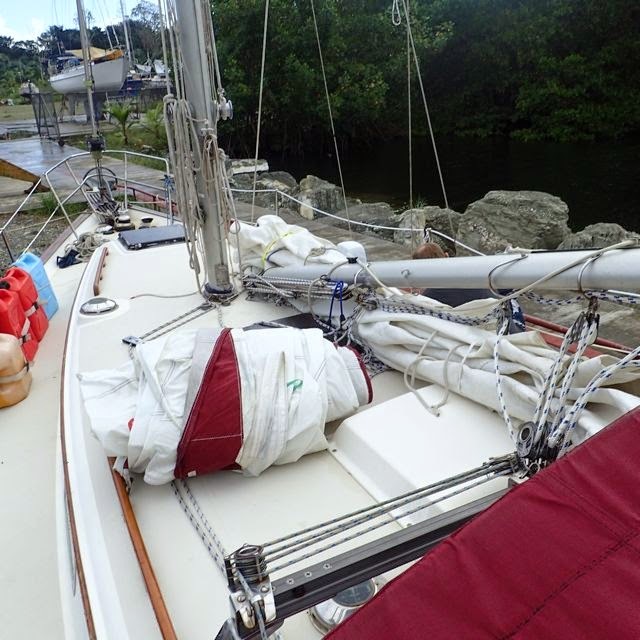 Ever since we bought our Pearson 365 sailboat in March, 2012, we’d planned to pull the mast. The real reason to pull our mast was to address an inherent Pearson mast design issue. The keel-based mast is aluminum. The step for it is steel. When the two metals combine in salt water, it creates a galvanic cell – corrosion. Fortunately, up until just two years before we bought our 1977 Pearson, it sailed exclusively in fresh water. We knew the work would eventually need to be done, but it didn’t need to be immediate. Tying off for mast pull. We didn’t do it St. Lucia, where we bought it, suffering as we were from the sticker shock of Caribbean marine prices. 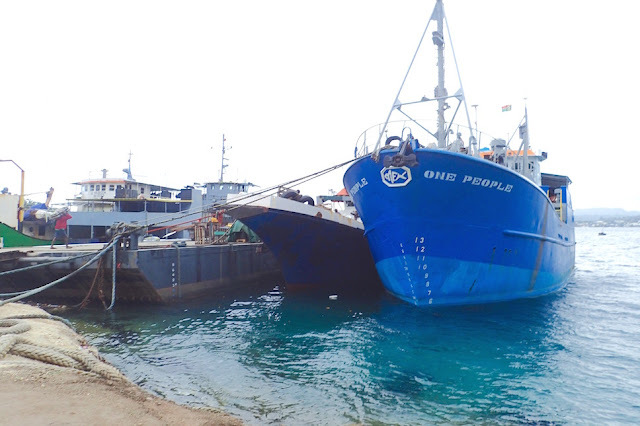 We didn’t do it in St. Martin, when we were getting a substantial amount of other rigging work done. The multi-thousand dollar estimate, “Not sure when we’ll get to it” and general rigger’s arrogance put us off. We didn’t do it our first time in Jacksonville as Ortega Landing Marina didn’t have a work yard. Attaching crane pole for lifting. 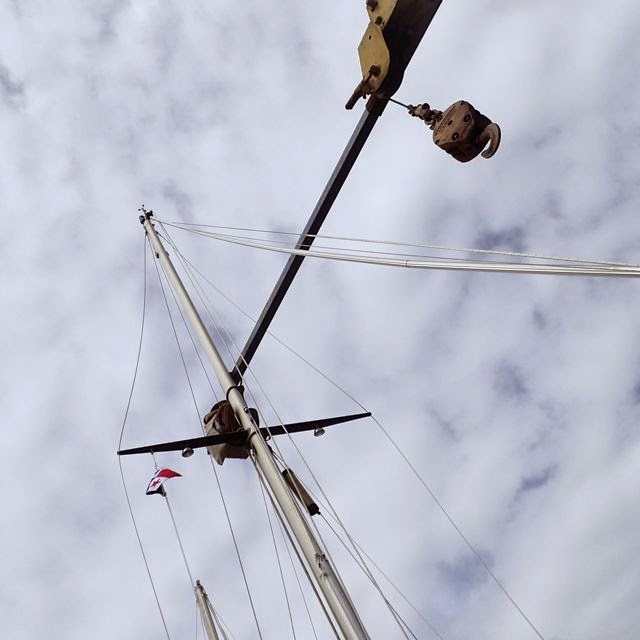 We tried to do it in Green Cove Springs Marina, but 6 weeks after we made arrangements to reserve the marina’s crane (complete with info on our boat and mast specs), we were told our mast was too tall, and renting a crane was $500 to remove the mast, and another $500 to put it back. Julian Crisp, aka Sparman was busy, yet willing to accommodate, but we decided our window was closing fast and we’d wait. his pole off a HiLift? We did. We were planning on doing it in Shelter Bay Marina, near Colon, Panama, just before going through the Panama canal, then…. Is the mast ready to pull? 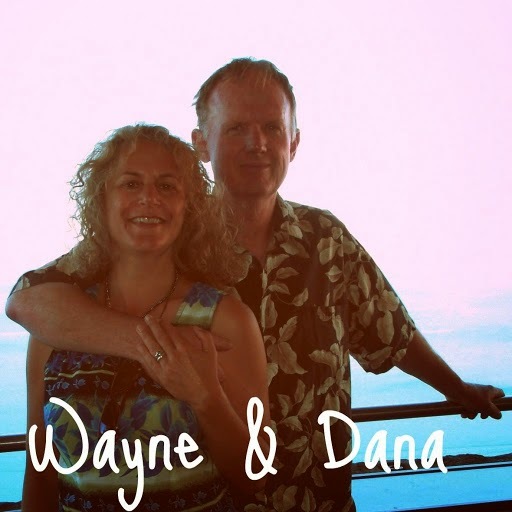 A few days later we contacted Bocas Yacht Services, wondering how soon they could take us. “Tomorrow? C’mon down!” was the answer. We did. It was just a couple hours early evening sail to their Altamira location, one of Chiquita’s big banana’s distribution points. Kirk, the yard manager, welcomed us in first thing in the morning. We sailed in to their entry dock and tied off. From there, a crew of six worked with Kirk, manning a HiLift with a welded steel pole. It was a goat rope, but it was a cheap goat rope. It would be an understatement to say there are no local marine stores. We brought our own materials. There were two small hardware stores in Almirante and Bocas Yacht Services does have a few items on hand – but not many and we’re not sure if they weren’t there because a customer ordered them. Almirante’s a dusty spot amid a jewel-toned verdant mangrove-jungle. It’s swelteringly hot and humid, and buggy as hell. There, while Wayne and I discovered the potency of even high-intensity deet does not exceed 4-6 hours, the crew wore long sleeves, long pants, and rubbed diesel fuel on their face and hands for respite. The amiable Spanish-speaking crew spoke almost no English. Kirk, an American, spoke almost no Spanish. Wayne, whose Spanish was limited, but more articulate than Kirk’s, was heavily supervising and working feverishly, hands-on, too. 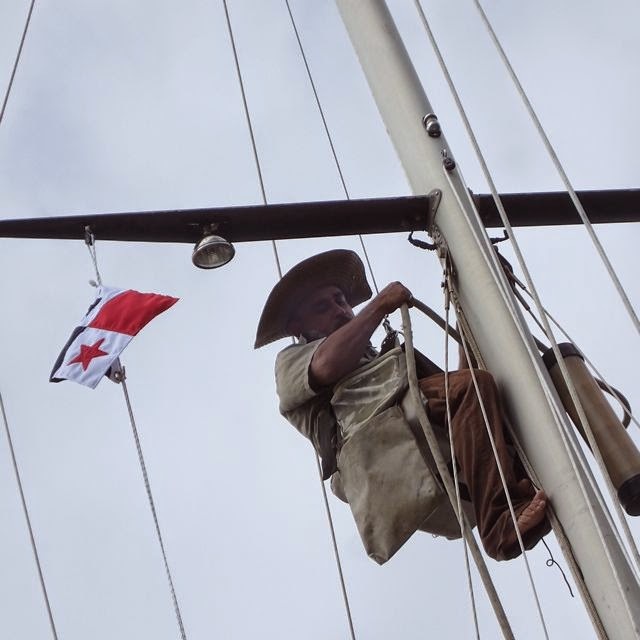 Bottom to top, every stay, line and bolt that touched the main mast had to be undone, including our foresail (jib). 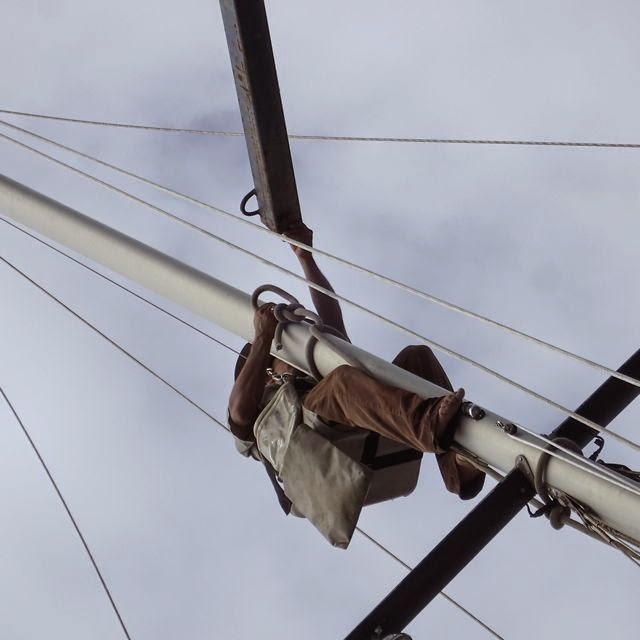 Then, the main and jib were secured to the HiLift pole, and slowly lifted up and out, hand-guided by Wayne and the crew of six, and laid on some sawhorses, ready for rework. Without its main and adjoining foresail and all the associated hardware, our boat looked naked, diminutive. Surprisingly, the mast corrosion was minimal, though from a hygiene and resale perspective, a rework was in order for our bluewater boat. “Anyone looking to buy our Pearson down the road who’s done their homework would tag us on it, if it wasn’t done,” Wayne explained. Two and a half inches were sawed off the mast base. A new mast base was created with three layers of marine grade plywood, epoxied together, then the whole shebang was coated with West Systems 105 epoxy resin to keep water from penetrating the wood. The new mast base was then bolted in, ready to receive the mast. The crew was friendly and accommodating, though Wayne had to explain how to mix our epoxy to the 19 year-old “epoxy expert.” Ultimately, he did a great job. 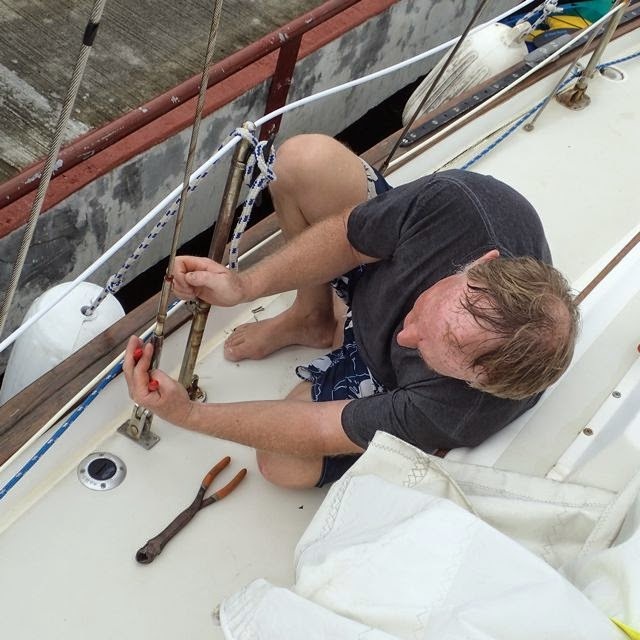 After a day’s dry time for the epoxy, Wayne bolted the new mast step into place. It was time for “Boat surgery, Part 2” -- to return the mast. Imagine threading a large (45’), critical needle into an exactingly precise spot, with your eyes closed, guided with the help of a minor Tower of Babble…. Shout and gestures of “Stop!” “Go!” “Slow!” “Back!” etc., until at last, the mast slid back in its proper slot. Wayne bolted it in. Then came all the work of re-attaching every stay, line and bolt. 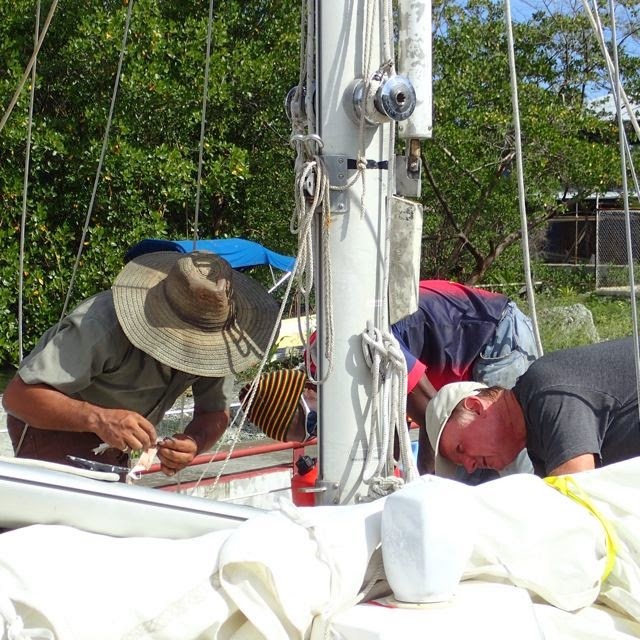 At closing time, we pushed away from Bocas Yacht Service’s dock, anchored and re-attached our jib and mainsail. The total for a crew of six, a crane and three days of work? $620, and Bocas Yacht Services threw in a couple gallons of dinghy fuel (to replace our non-starting, bad gas) at no extra charge. In Shelter Bay, as we readied to cross the canal, several cruisers were waiting for their mast pull and replacement to be completed before they could schedule their canal crossing. We were really glad ours was already done. We’ve now sailed over 1,300 miles since the mast step replacement. It’s been tested… even pounded for miles driving upwind and close-hauled, in 30+ knot winds. It’s done well. It still clanks. And our lofty mast spreader lights are also not working, again. “Do you trust it now?” I asked Wayne, of the mast. Goat rope or not, we’re grateful to the folks at Bocas Yacht Services. They’re too well-kept a secret. We heartily recommend Bocas Yacht Services for DIYers and cruisers looking for basic boat work assistance and reasonably-priced storage on the hard with affordable motels in Altamira. Just make sure you’re clear regarding your needs, and if possible, bring your own materials and be there supervise the work and dive in as needed. As far as Altamira’s fiercely prolific no-see-ums and sauna-like conditions – they’re great motivators to get the work done, and get going. Written while in Baie Tahauku, Atuona, Hiva Oa, Marquesas, French Polynesia (S9.48.260 W139.01.924). When not doing boat maintenance and repair and provisioning, we are getting in some much needed R&R. By the time this posts, we will be on our next Marquesas island - likely Faka Hiva. We plan to explore more Marquesan Islands as we work our way through French Polynesia to Tahiti. We are allowed a maximum of 3 month’s stay in French Polynesia. Sails off masts in preparation for mast pull. It least it was calm when we took them off, and put them back on, for a change! Some!?! Disassembly required. Wayne, hard at it. Would you trust your mast to this pole off a HiLift? We did. Easu does it! Don’t drop it! One of the crew decided to ham it up for the photos…. Then ham it up some more! Sawing 2 ½ inches off our Pearson sailboat’s main mast base. Mast work, outside. Boat looks like a yard sale inside. New mast step, ready to bolt in. One last check to make sure everything’s ready. Wayne trying to figure out what to do with wires while mast gets lowered back into place.